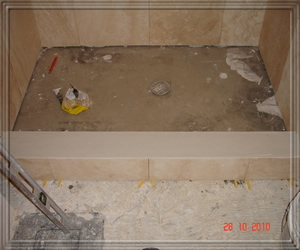 We Guarantee our work for 5 Years. 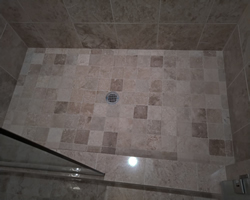 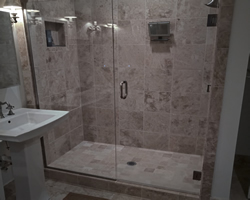 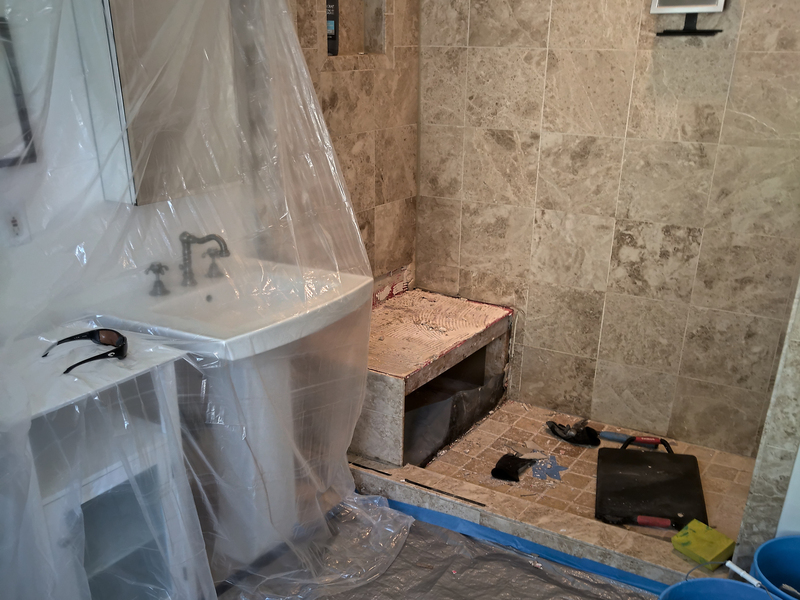 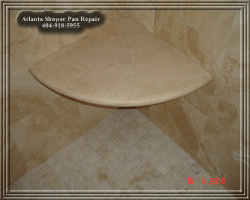 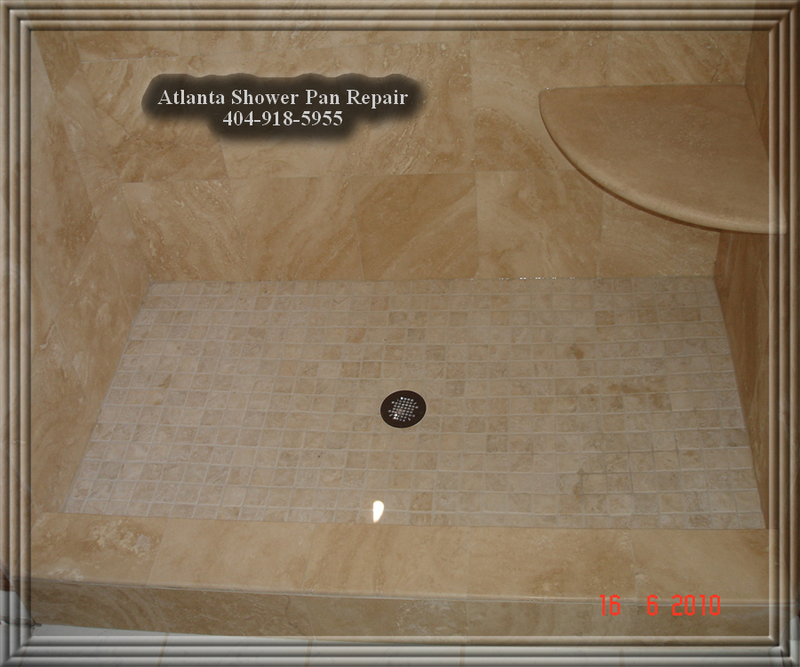 A lot of our customers replace old fiberglass showers with travertine tiles. 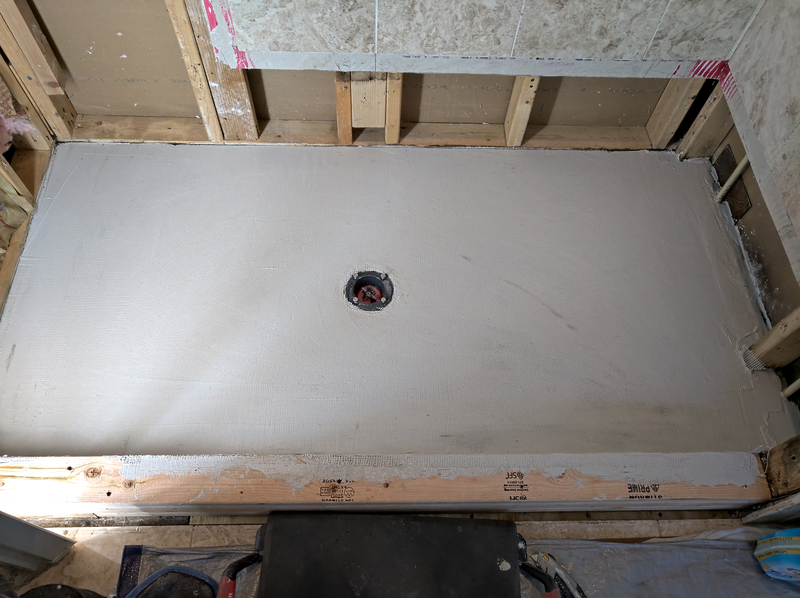 We always install new adjustable shower drain. 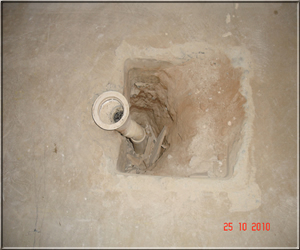 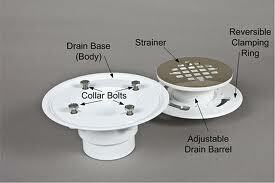 Adjustable shower drain is required for showers with rubber pan liner. 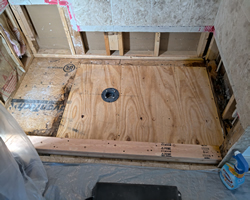 We Installed new shower curb and drain. 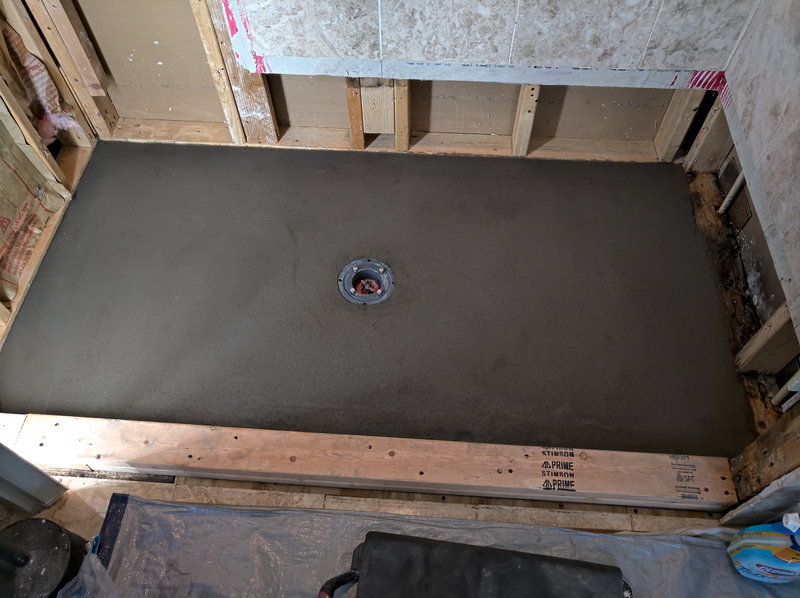 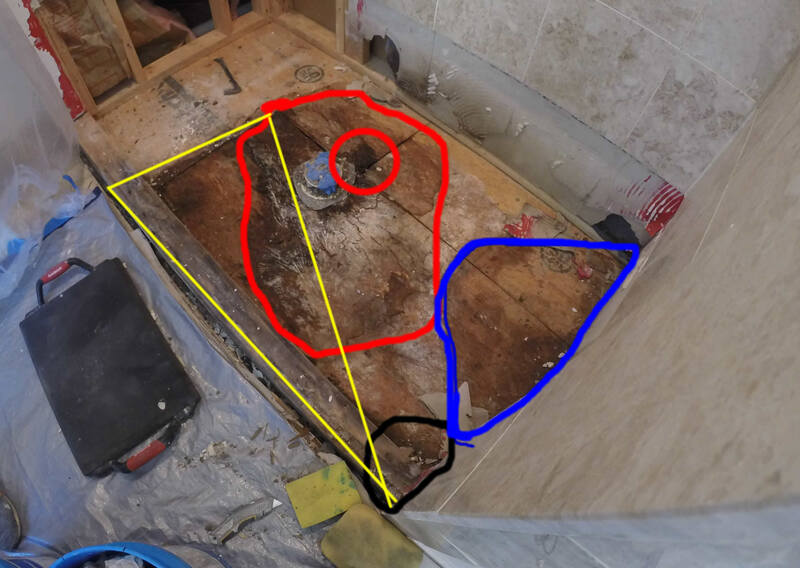 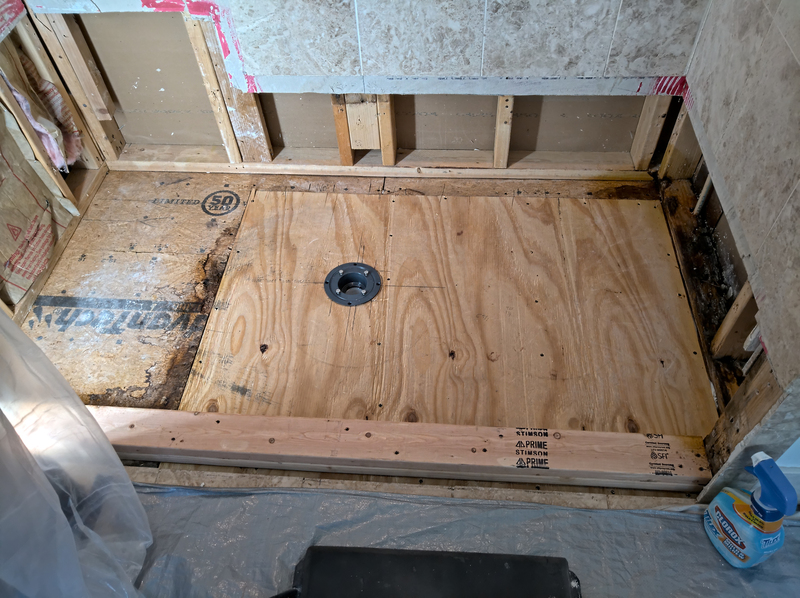 Shower curb is 3 2X4 high. 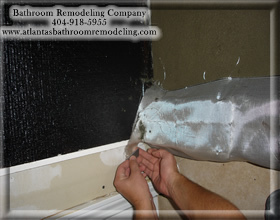 We install fiberglass mesh. 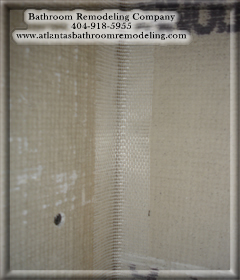 Mesh will prevent grout from cracking in the corners. 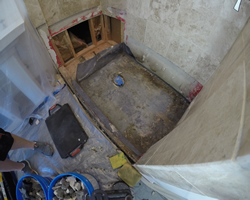 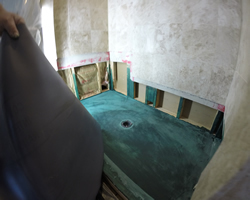 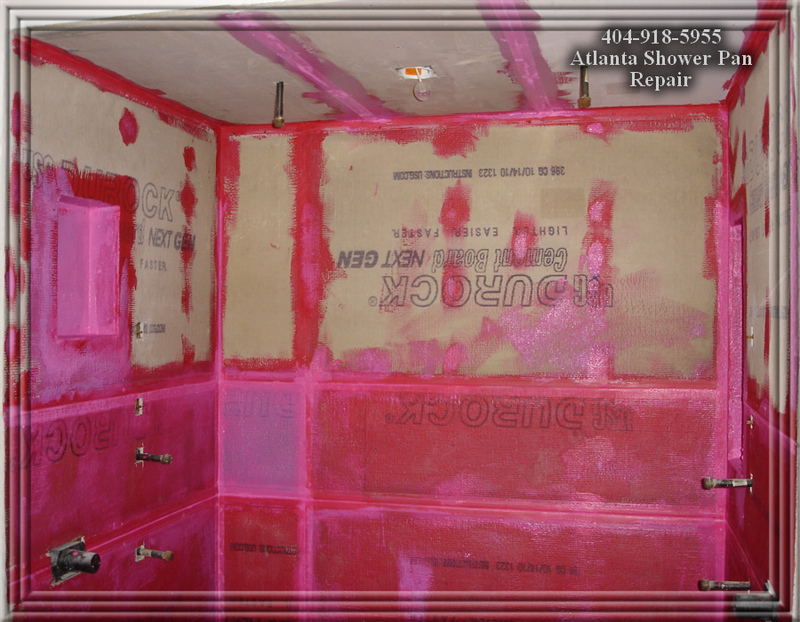 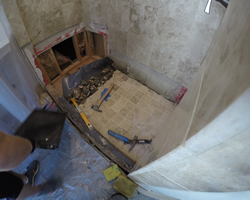 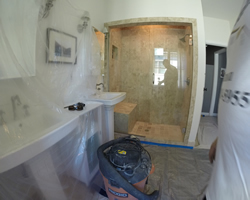 We use mortar and waterproofing membrane to strenghten the shower walls. 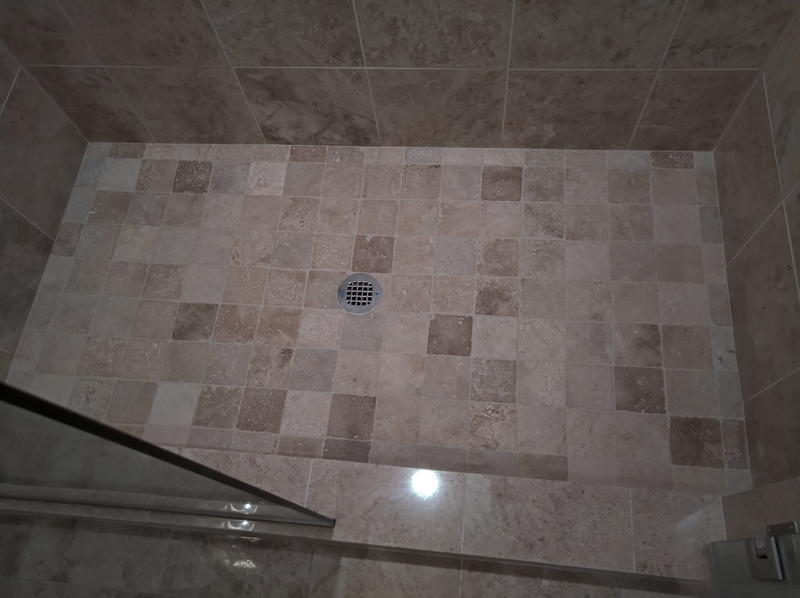 Shower curb must have small slope. 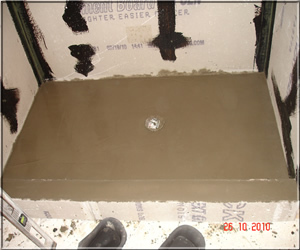 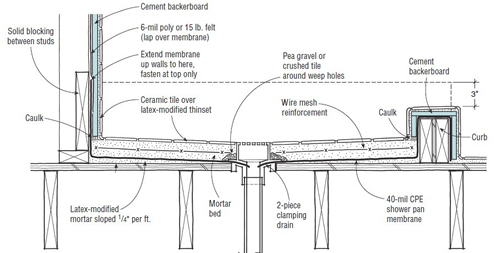 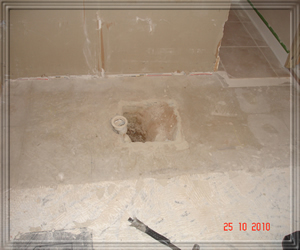 We install two 1/2" cement boards on each side of the curb and fill the top with concrete. 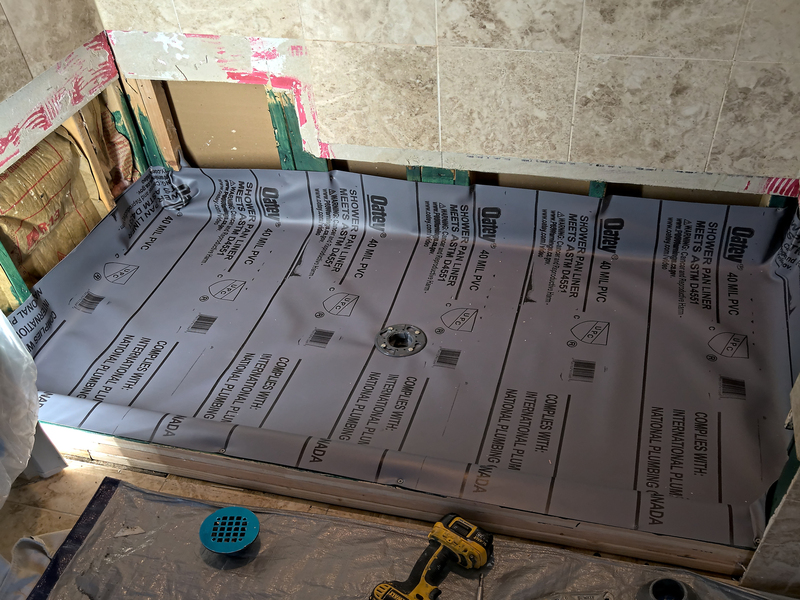 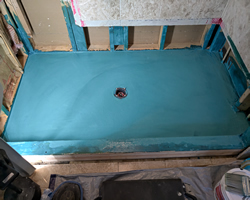 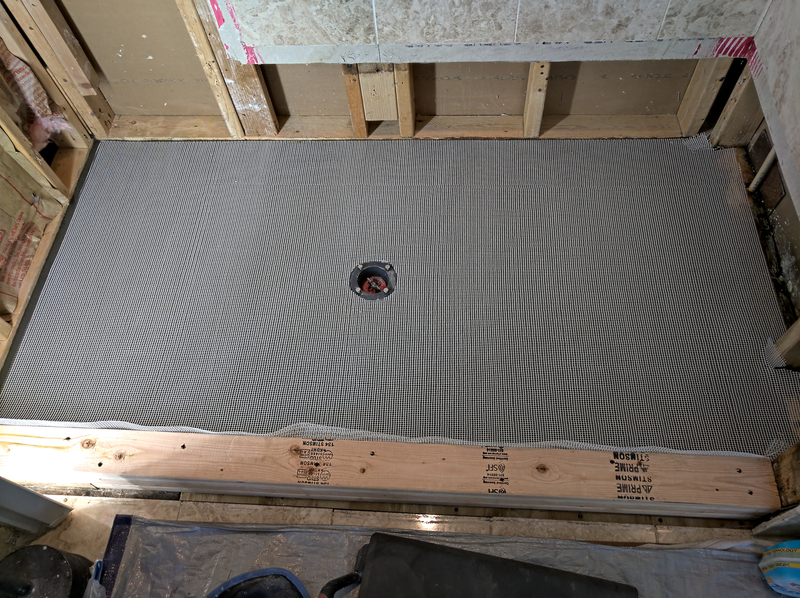 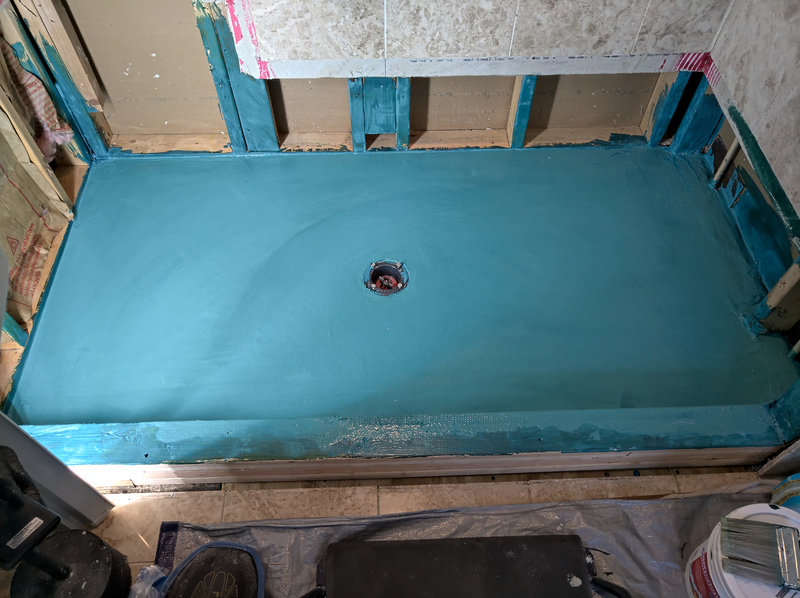 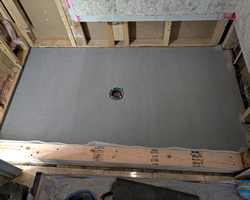 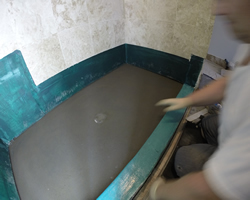 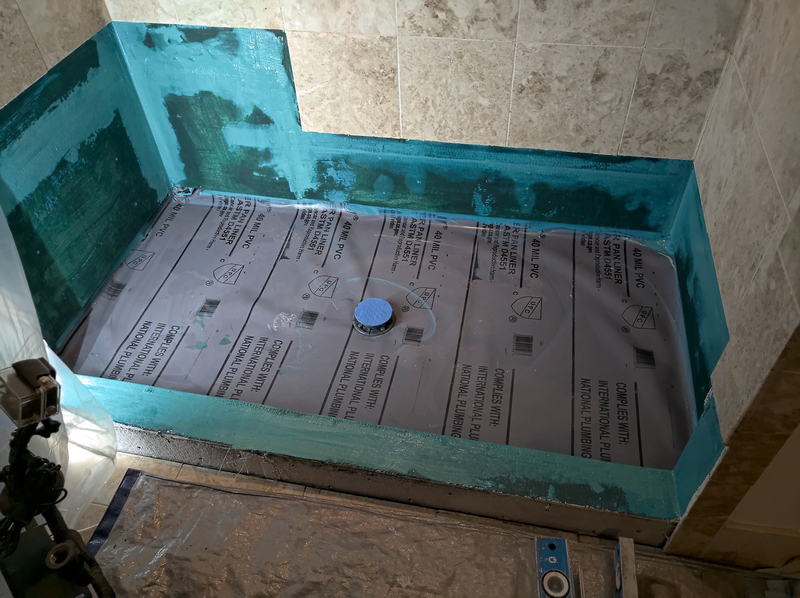 We use fiberglass cloth to wrap entire shower curb then 2 coats of waterproofing membrane are applied over fiberglass cloth. 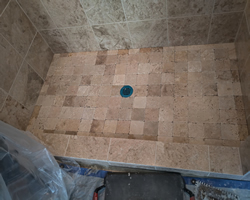 We always install tiles 1" higher than the curb. 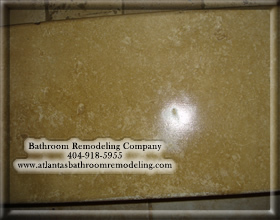 Thin set will bond with concrete and tile better. 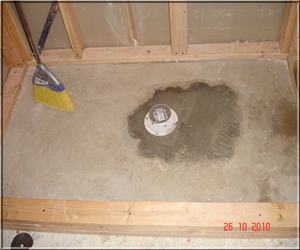 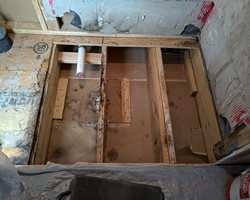 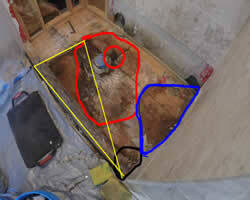 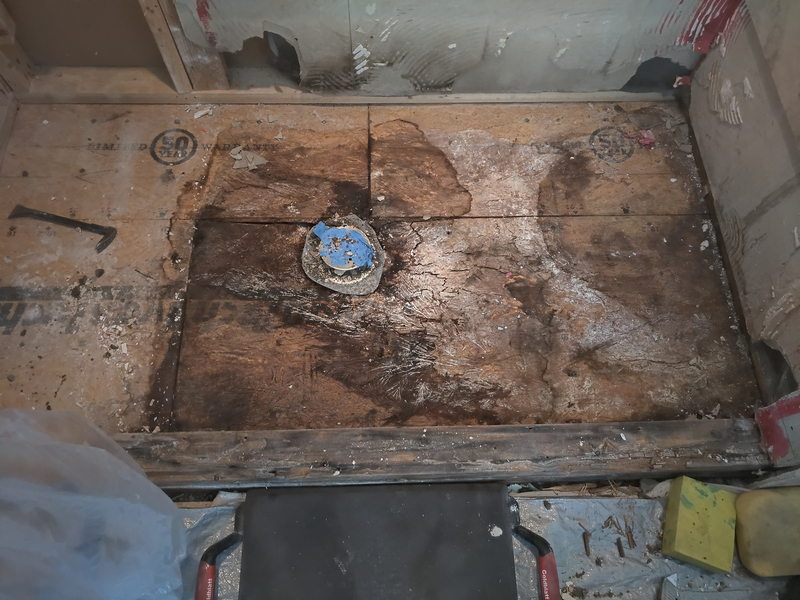 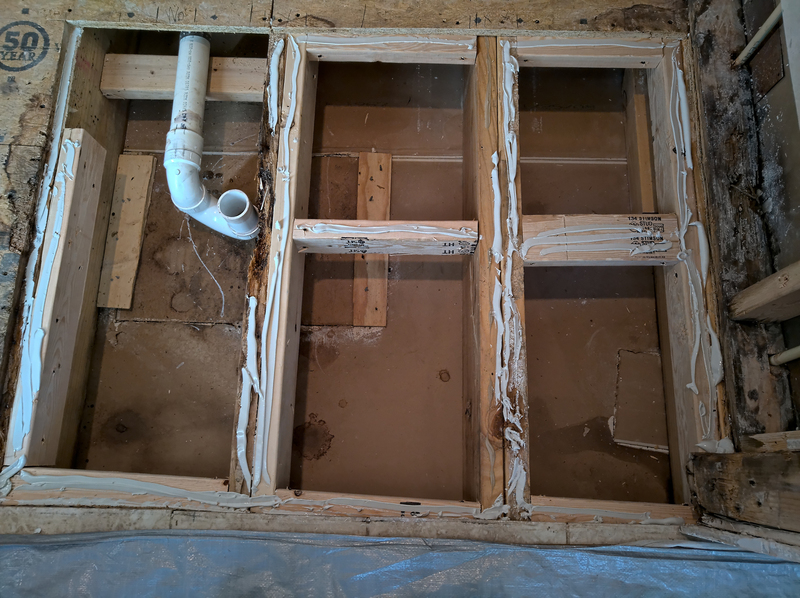 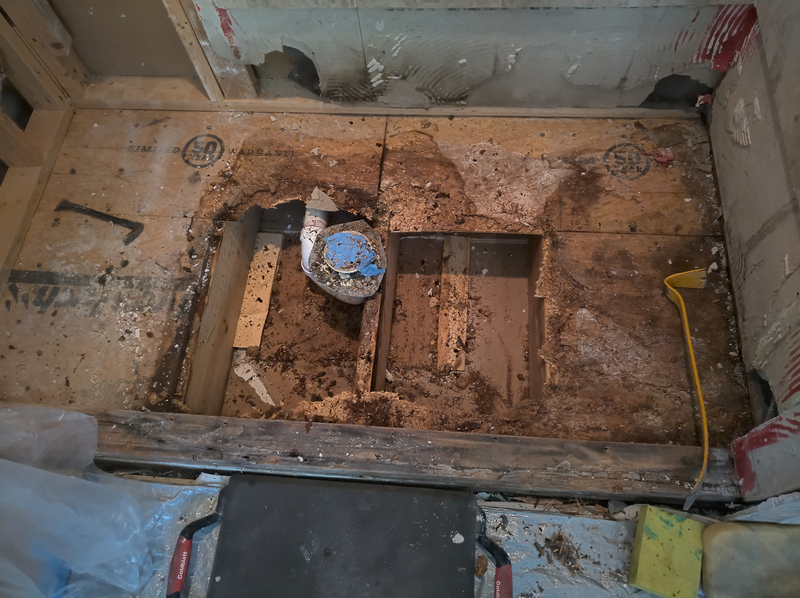 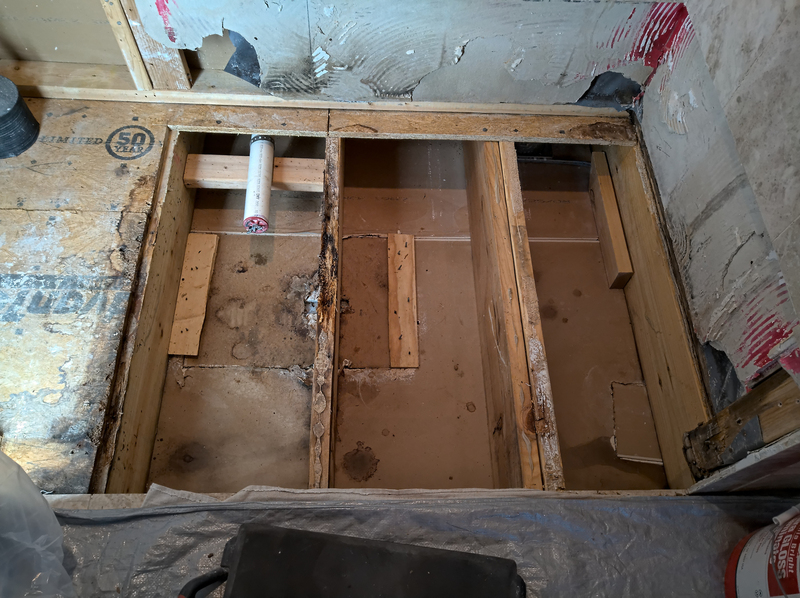 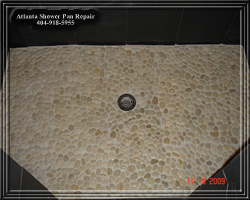 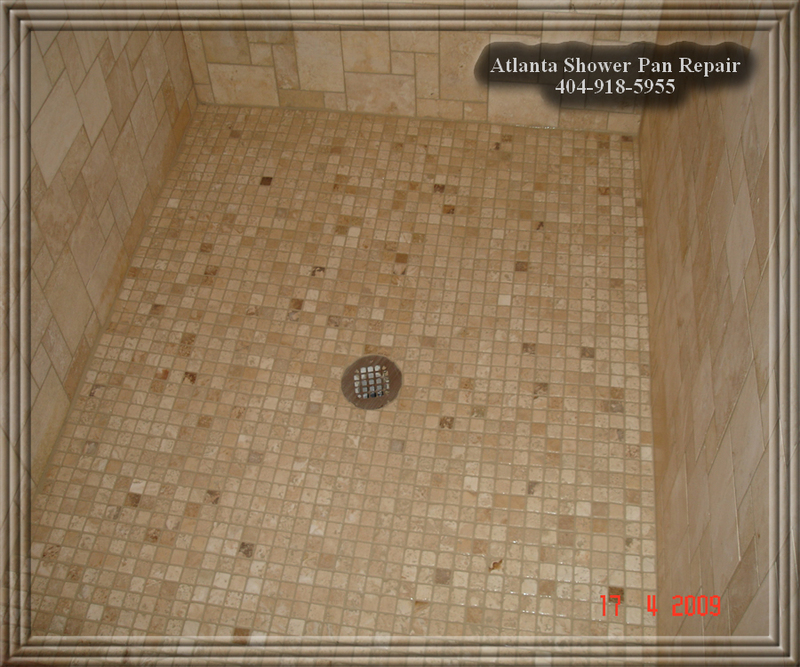 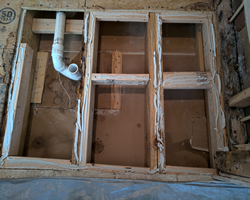 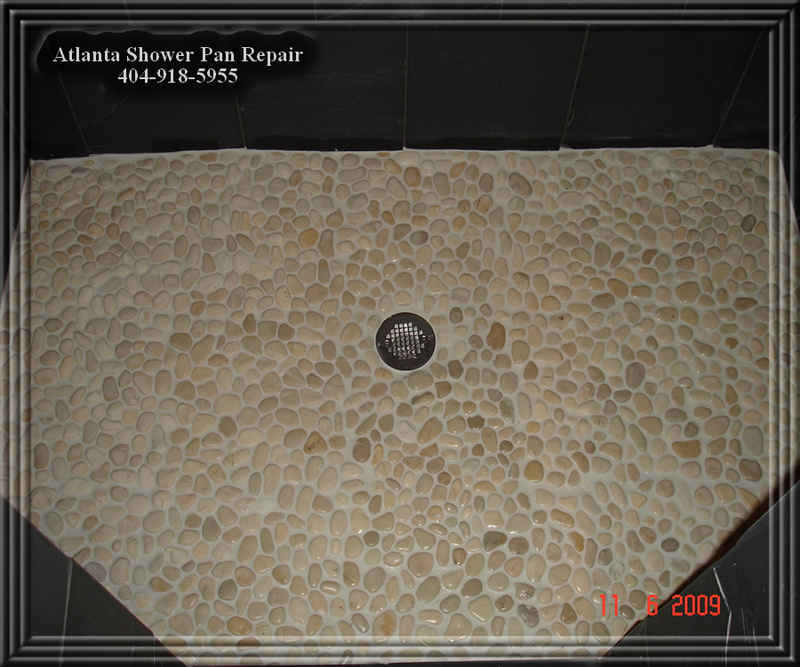 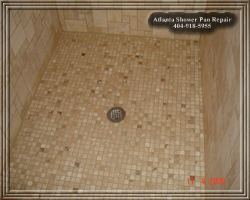 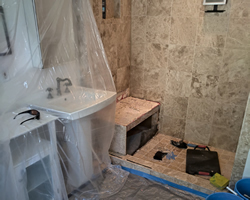 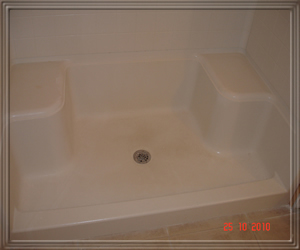 Shower pan repair is one of most expensive repair in your bathroom. 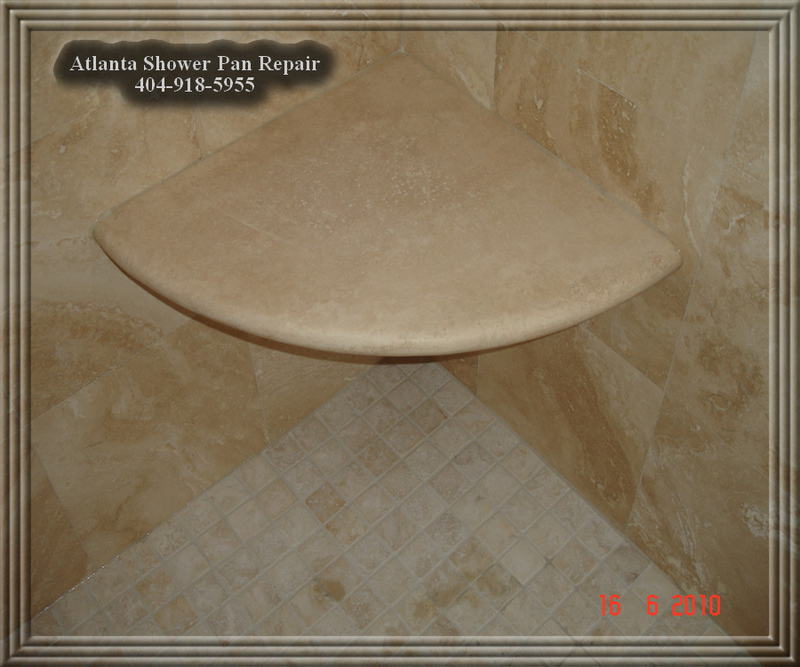 Replace shower pan is very time consuming task. 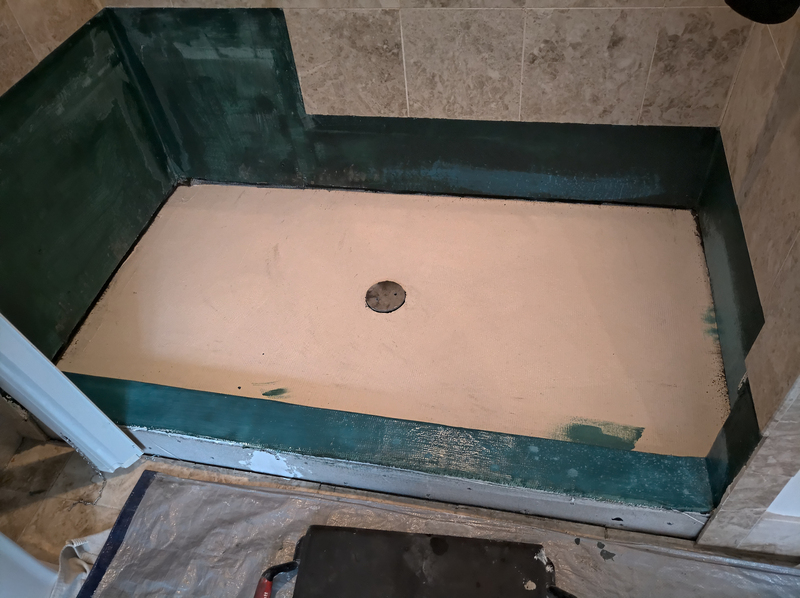 Only experianced installer can install rubber liner, build shower pan, install cement boards and waterproof shower that will last for years. 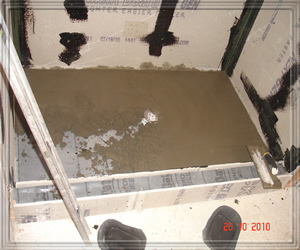 Most contractors don't use waterproofing membrane because it's expensive and requires some time to dry.